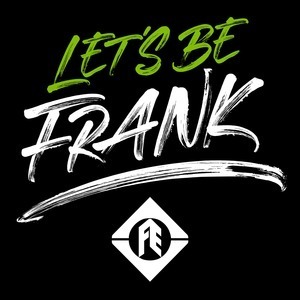 8 episodes of Let's Be Frank since the first episode, which aired on January 7th, 2019. You've heard about our EVO Series Automatic Tank Gauges (ATG), now learn what it is like to use one! Ben Thomas, of UST Training, calls in to talk about explaining the EVO Series ATG to Class A/B/C operators and preparing them for different scenarios. With years of expertise training A/B operators in UST training and quick videos "Tank Savvy Minute" that explain tank gauges, Ben is always finding a creative way to make you a better operator. Automatic Tank Gauges (ATGs) provide so much more information than just telling us how much fuel is in a storage tank. In this episode our Senior Product Manager for Fuel Management Systems, Jason Grant, calls in to talk about the capabilities of EVO™ Series ATG's. This week’s theme is Regulation Navigation! The Underground Storage Tank Federal regulations by the EPA went into effect on October 13th, 2018. Are you complying? Gary and I navigate through these regulations to help you understand what your options are and how to stay in compliance. This week I sit down with Anna to talk about our new Carbon Series(TM) single and double wall fiberglass dispenser sumps. Hear how the new manufacturing techniques and interstitial monitoring options are making them the most versatile dispenser sumps in the industry. What is UL 2447? How does it affect your business? Anna and I talk about what this UL certification means, the products it effects, and how Franklin Fueling Systems provides the widest offering of UL 2447 listed products in the industry. With over a decade of experience on jobsites all over the world, Loren Swalheim (Director, Technical Services) has pretty much seen it all. In this episode, we explore the FFS PRO® suite of services that are powered by Franklin Fueling Systems’ technical expertise and break down how distributors and installers can utilize the tools to make their jobs easier. Nicole and I sit down to talk about how our Defender Series brand Spill Containers and Overfill Prevention Valves work in the fueling system. With new UST regulations out, how are you staying compliant? Join me as I learn about our testing mechanisms and maintenance of these devices. For the first episode of Let's Be Frank, we are talking about Cable Tight! Cable Tight is Franklin Fueling Systems innovative wire management solution. Allan Busch explains how Cable Tight is changing the game for electrical and data wire conduit and what people have to say about its electrofusion welding installation process.